Some cities will capture you upon arrival, while the beauty in others will be discovered over time, that’s what we found during a recent visit to Hanoi. Perfect for your holidays from Belfast and Dublin. Give Hanoi some time to win you over. Feel slowly welcomed to its many sides as the capital of diverse Vietnam. Upon arrival you’ll question what your actual opinion on this city is & how you’ll last a couple of days. In this case, first impressions don’t count, give it some time and learn to truly appreciate the city. You will soon love it. The oldest part of Hanoi, The Old Quarter, is the place to stay. A labyrinth of tiny streets, with crowded pavements, full of little shops and street food gems, where scooters zoom crisscross past you and zebra paths seem to be nothing but decoration. Even though it may seem impossible, the trick is to just go ahead and cross. Keep a calm pace when walking around and all the traffic participants will find a way to dodge you. You’ll see, after braving a few crossing challenges, you’ll be a natural in surviving the chaos. The same goes for the local street food. Sit among the locals in their dining room: the pavement, and try to stay balanced on a miniature plastic stool. This is where you’ll savour the most delicious Vietnamese dishes. How about a sandwich? Banh Mi 25 is renowned for its french breads with flavourful fillings, for less than two dollars. Most of the time there will be a queue in front of this quaint street food stand – the many wonders of social media – however even this is more organised than you’d expect and the service impeccable. No matter how delicious, you may be up for something a little bit different than street food. For a more refined dining experience, go to restaurant Home in a gorgeous villa from French colonial times. Madame Hien, also in an impressive villa, is a little less cosy however the mouthwatering traditional Vietnamese dishes taste no less than perfect. Round off the evening with a cocktail and live jazz music at Polite Pub. Cocktails such as the Venetian Merchant or Rose Garden are served in porcelain tea cups and stylish Vietnamese waiters are dressed in tailored shirts and black bretels. 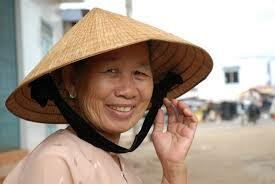 Vietnam is now more easily accessible for your holidays from Belfast and Dublin. Hanoi is a city you have to discover for yourself. Which is why I won’t give away too many tips. Alright, one more, since the coffee is notoriously delicious. In the Old Quarter you can find multiple coffee spots of the Cong Caphe chain, a self-proclaimed hipster café and lounge. Indeed the stylish interior has a hipster aesthetic and besides the coffee you can enjoy a fresh smoothie. Walk around, absorb, taste and discover. The chaos is not always what it seems. Become part of the rush and dive head first into the whirlwind of Hanoi. Available for your holidays from Belfast and dublin.